Another battle of Midway is being fought over its unique natural resources. Climate change poses a long-term threat to this island. It is causing rising sea levels, coral bleaching, changing storm patterns, and coastal flooding. A warming ocean threatens local coral reefs. Delicate coral reef systems are at risk as the Pacific Ocean gets warmer. When sea temperatures are high, corals expel the algae living in their tissues, then turn white. This is called “coral bleaching.” Marine biologists have seen major coral bleaching events around Midway since 2000. Coral is also threatened by ocean acidification. Acidification is the result of the ocean absorbing about a quarter of the carbon dioxide being released into the air by coal, oil and gas. Sea level rise and flooding is washing away key habitat. Sea levels rise as land ice melts, and sea water itself expands as it warms. This is bad news for all low-elevation Pacific islands. Midway’s Sand, Spit, and Eastern Islands are only a few meters above sea level! Sea level rise and the high wave action that goes with it causes coastal flooding and erosion. This in turn threatens native coastal habitats and the species that depend on them. 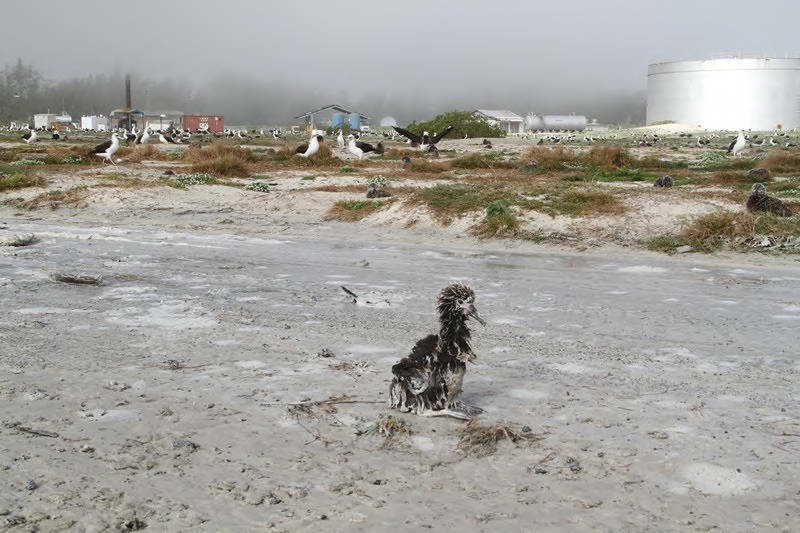 The nests on Midway of Laysan albatross, black-footed albatross, and Bonin petrel may be destroyed by flooding and high-water events. 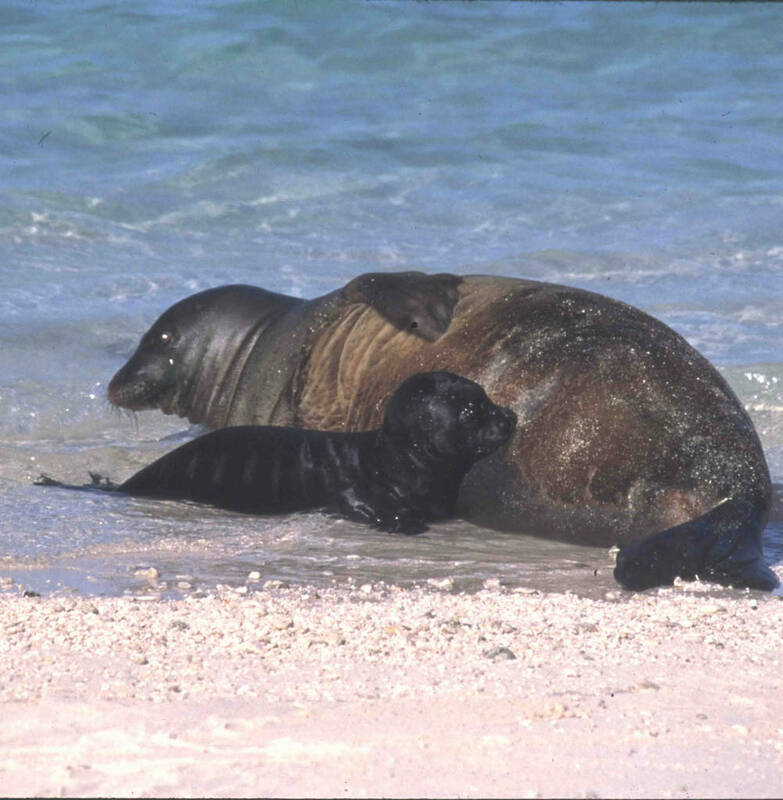 And coastal erosion threatens habitat for the endangered Hawaiian monk seals that give birth there. A changing climate threatens native species. As air temperatures rise, rainfall patterns change. Both changes are likely to encourage the spread of disease and invasive species. Scientists have already seen changes in where species range. Tuna ranges are changing, for example, which affects local fisheries. It’s hard to predict how storm patterns are changing with climate change. Some research predicts increases in cyclone activity around Hawaii. Extreme weather and other climate events may benefit some invasive plants and animals over more vulnerable native species. People and communities are also at risk. The U.S. Fish and Wildlife Service is doing just that. We are building partnerships and gathering information to learn how climate change works here and across the Pacific Islands. We’re working to safeguard and build the resilience of the unique natural resources of this vulnerable area. 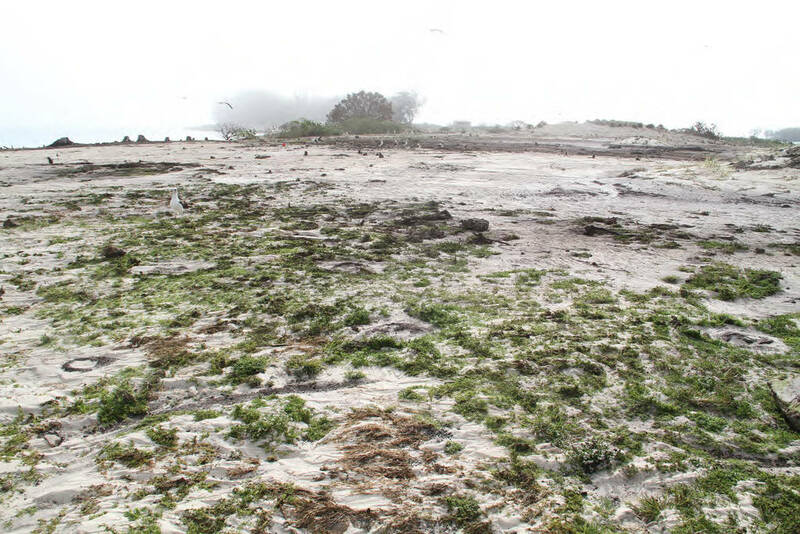 This washed-over area on Midway’s Sand Island was the result of the tsunami in 2012. Spit Island was indundated,, and Eastern, and Sand Island were 60% and 20% washed over, respectively. Leong, J.-A., J. J. Marra, M. L. Finucane, T. Giambelluca, M. Merrifield, S. E. Miller, J. Polovina, E. Shea, M. Burkett, J. Campbell, P. Lefale, F. Lipschultz, L. Loope, D. Spooner, and B. Wang, 2014: Ch. 23: Hawai‘i and U.S. Affiliated Pacific Islands. Climate Change Impacts in the United States: The Third National Climate Assessment, J. M. Melillo, Terese (T.C.) Richmond, and G. W. Yohe, Eds., U.S. Global Change Research Program, 537-556. doi:10.7930/J0W66HPM. Murakami, H Wang, B, Li, T.; Kitoh, A. 2013. Projected increase in tropical cyclones near Hawaii. Volume: 3 Issue: 8; Pages: 749-754. Schramm, A and R. Loehman. 2011. Understanding the science of climate change: talking points – impacts to the Pacific Islands. Natural Resource Report NPS/NRPC/CCRP/NRR—2011/287. National Park Service, Fort Collins, Colorado. Storlazzi, C. D. et al. Many Atolls May be Uninhabitable Within Decades Due to Climate Change. Sci. Rep. 5, 14546; doi: 10.1038/srep14546 (2015).